once you click above the link, You'll be redirected to yourlens.com and to create an account for our online store. If you would like us to bill your insurance for contact lenses, give our office a call at 425-821-5050 to order. ~if you're interested in recycling your contact lens packaging, we're proud to be a collection site for terracycle. 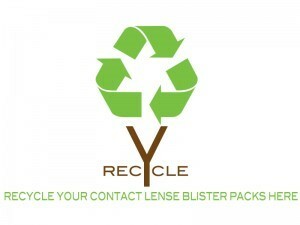 bring in your used contact lens packaging to our office. ~we can take the plastic blister pack, the foil, and even the dried used contact lens. just make sure the solution is emptied and packaging is dried.